ERICA DRIVE - Reveal Video For New Single "All We Are"
UK tunesmiths ERICA DRIVE have just released a brand new video for their alluring new single, "All We Are" , which is taken from the band’s explosive sophomore EP, The Hate, The Hurt, The Healing, out everywhere on Friday 12th April. ERICA DRIVE were officially formed at the start of 2017, when vocalist/guitarist Matt Underdown and guitarist Frank Harding worked on some initial song ideas, simply for the love of creating music. As the project gained momentum, long-time friends Sam Firmin (guitar & vocals) and Damien Carter (drums) joined the ranks. The newly-formed band then hit the rehearsal room and live circuit, before heading to Ranch Production House to commence work with Neil Kennedy (Creeper) & Daly George on their self-titled debut EP. The band’s debut EP picked up over 10,000 plays on Spotify. The rising rockers also dropped two very well-received music videos, and delivered a barrage of live shows, which massively enhanced their growing reputation. As the band looked to their next release, they added Damian Bruton (bass) to boost their already expansive sound. The newly invigorated quintet then entered the studio to work on their second EP, The Hate, The Hurt, The Healing, with producer Mike White (Wolf Culture), with mastering duties handled by John Naclerio (My Chemical Romance). From start to finish, this EP penetrates the senses. From heavy driven guitar riffs, raw passion and high energy cuts, to more ambient tones and infectious vocal lines, the record spits out a plethora of emotions. Vocalist and guitarist, Matt Underdown, elaborates: “We all get hurt and we all hate to some degree. This EP for us was a healing process where we channelled bottled up emotions into each and every note and used it as a relief from the burdens we carried. 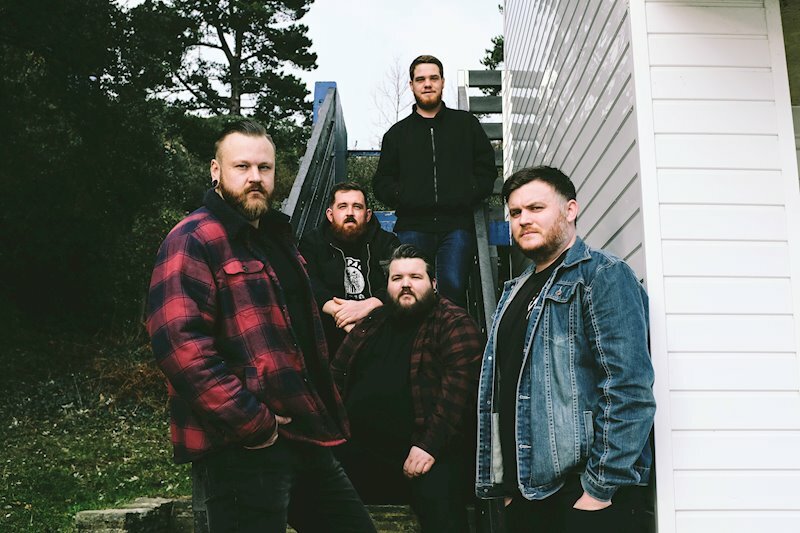 We hope "The Hate, The Hurt, The Healing" can act as a catalyst to help others through hard times, as it has for us.” With tours on the horizon, new singles and an EP to be released, 2019 is primed to be a colossal year for the band.